I keep adding more articles and links to this post. Makes it easy to keep it in one spot! Krista is a columnist for iRun Magazine. New !!! 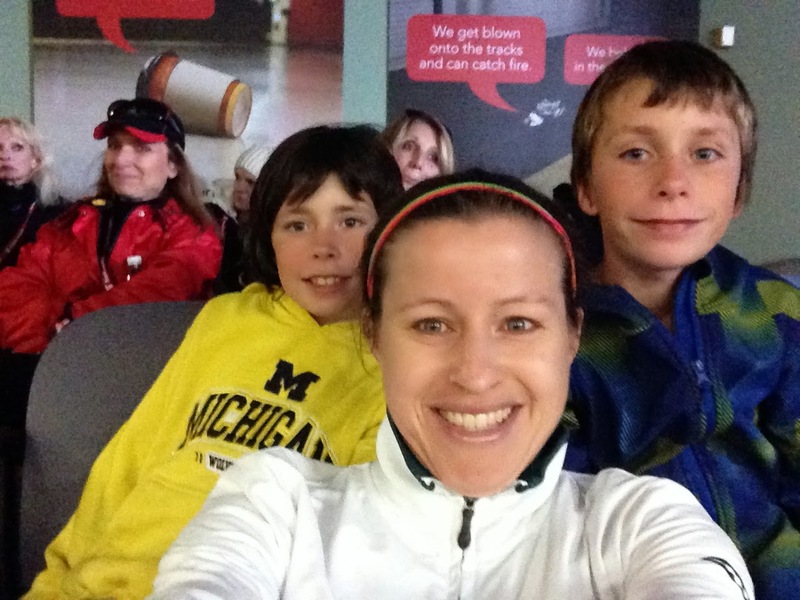 Krista will be on 100 Huntley Street tv show, some time in November (pre-recorded Wed., Oct 30) to talk about life as Marathon Mom, her faith, being 2nd Fastest Canadian Marathoner, news about the Kenyan Kids Foundation Canada (including the new “Harvest Half” pasta dinner and race Sept 12-13, 2014), Silvia Ruegger’s Start2Finish, and more! 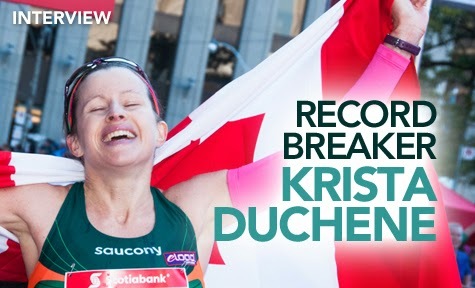 14. iRun Magazine “She’s not the only one who’s going to break this record, I am too” DuChene. 15. 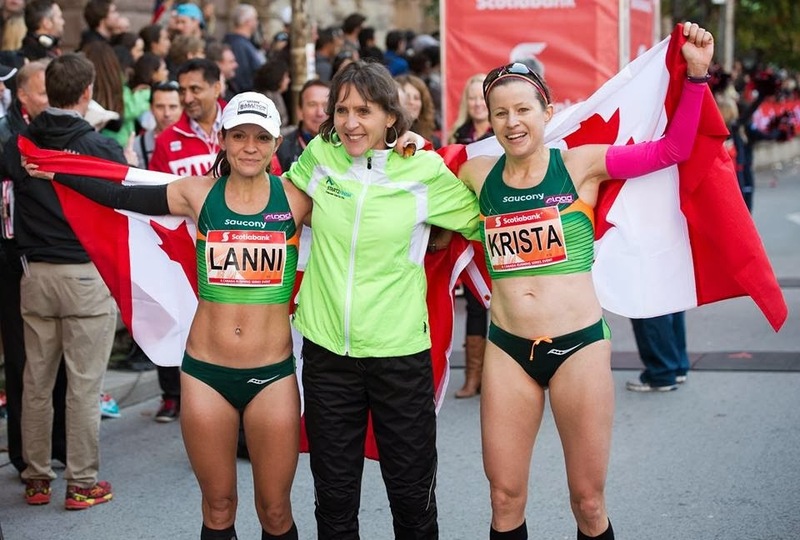 Brantford Expositor “Marathon Result Great for Canadian Running”. Vincent Ball. 16. 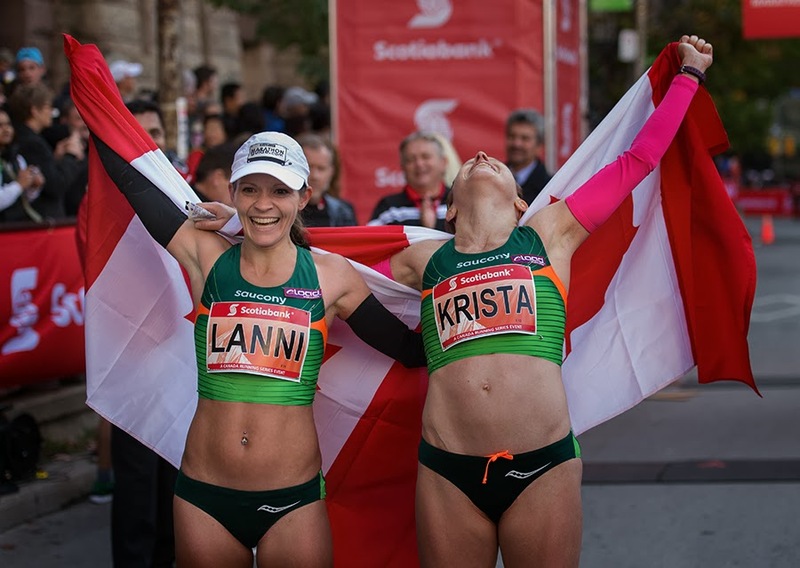 CBC race coverage Lanni and Krista: 0:55:26-1:02:20 (running and pre-race interview) and 2:41:30-2:45:20 (Cdn record finish). 18. 93.9 FM with Brad Loveday. quality? I’m leaning towards yes, the ladies are killing it!”. 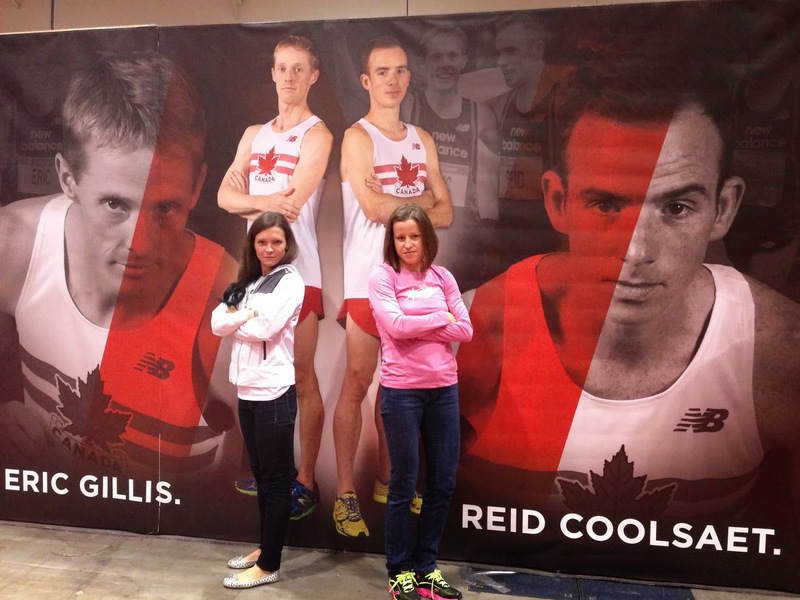 Great for Canada, Marathoning and Women. Like many people in the bible (e.g. New Testament – John in Acts, Andrew in Matthew, and Old Testament – Isaac), God can certainly use us as second fiddle. And that includes me. Did I want that record all to myself? You bet. Both Lanni and I wanted it. Badly. And she got it. Not me. Lanni and I had another amazing year with stunning comebacks after our big disappointment at the World Championships in Russia, just 2 months ago. We returned battered and bruised, physically and emotionally, only to get back up and get at it again. And we did. 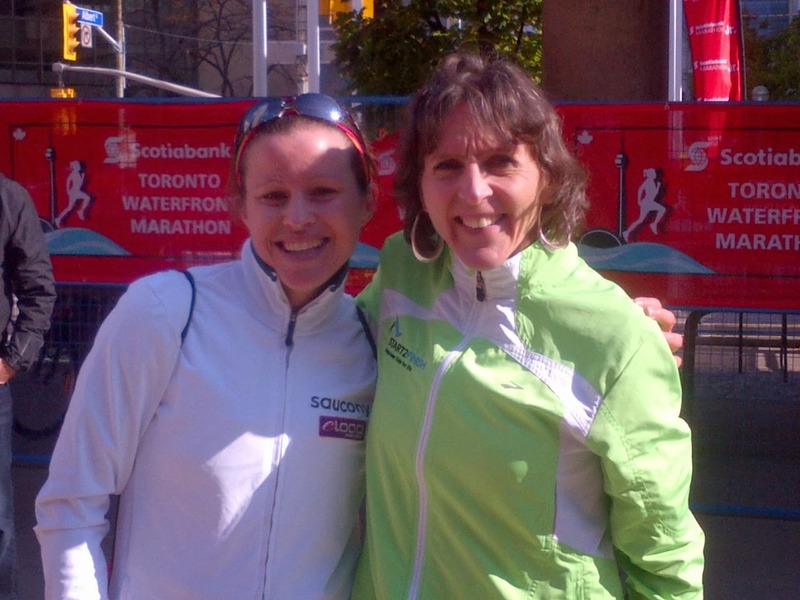 Silvia Reugger’s 28 year old record as fastest Cdn marathoner was broken, not by one but by two women. So here’s how it went down – great training AND great race conditions (a touch windy but perfect temps). In the race we had good pacing to 30 km. Thank you, Josephat Ongeri and Rejean Chiasson, and Dan Way on the bike (great encouragement). We were a touch fast, finishing the first half in 73:00 but this course has a fast first half. Then we were on our own. Lanni took a surge and I thought it was a bit too early with 12 km still to go. She kept her distance and finished just ahead of me in 2:28:00. My time was 2:28:31. It was very similar to our performance in Rotterdam last April when going after the 2:29:55 Olympic standard (that we are now well under!!!). We finished 3rd and 4th overall (behind two, and ahead of even more African runners). Both good for #1 and #2 in Cdn history. We hugged and celebrated at the finish. Then we headed to the awards ceremony and press conference. It was during this time that I had a few moments with Silvia Reugger. I confided in her, that I really wanted God to use me for His will with today’s performance. She then told me how she wanted to win a gold medal for Canada. She trained for 20 years, which included setting the record and competing at the Olympics but the gold medal – it did not happen (a car accident resulted in her never returning the same). And she gave me the quote about the second fiddle, reinforcing that God looks at our heart and willingness to do His plan. I asked her to repeat the quote again, and Coach Rick commented that it would be something very special for me for a long time. Yes, indeed. I then asked Silvia how she felt about no longer having the record. Again the words that came out of her mouth were golden. She explained that she was glad God used that record for 28 years to establish His work through her, particularly with her Start2Finish program, something I want to be part of (with the Kenyan Kids Foundation), I told her. At the press conference with Lanni by my side I was able to be honest. I explained that Lanni would say there were days she didn’t feel like running but did it, knowing her competition was out there, training. I said I knew that was me. And when asked if she knew she had the win she said she didn’t know until the last km. I knew she knew I was on her tail! I think both Lanni and I can agree that had we not had each other in that race, the record may have not been broken. Eric Gillis, also going after the record, had a great race but admitted that once his pacer dropped, he slowed in the last 12 km. Lanni and I had each other. I think the 5 main components to a successful race are: consistent and healthy training, good race weather, pacing, competition, and the will to want it. We had all 5. 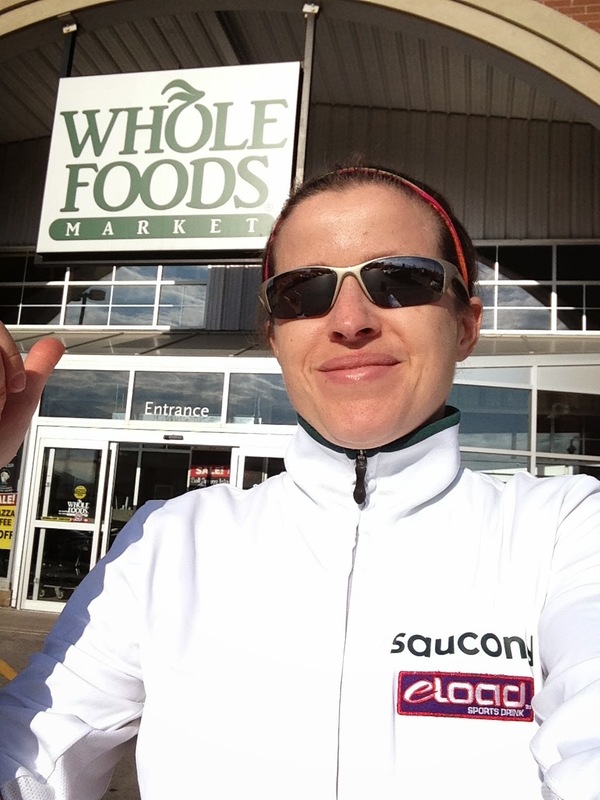 I enjoyed my quiet drive alone on the way home after the race, treating myself to a stop at Whole Foods. It was a great way to reflect on the day, the year. Coming home to my “Team DuChene” was incredible. Up next includes some speaking engagements, odd jobs around the house and such, and the usual routine with the kids/school/church. Rick and I will meet to plan 2014. Ultimately we want to get me speedy ont he track with shorter distances (5 and 10 km). May do the New York City Half Marathon in March and some track races in the spring. 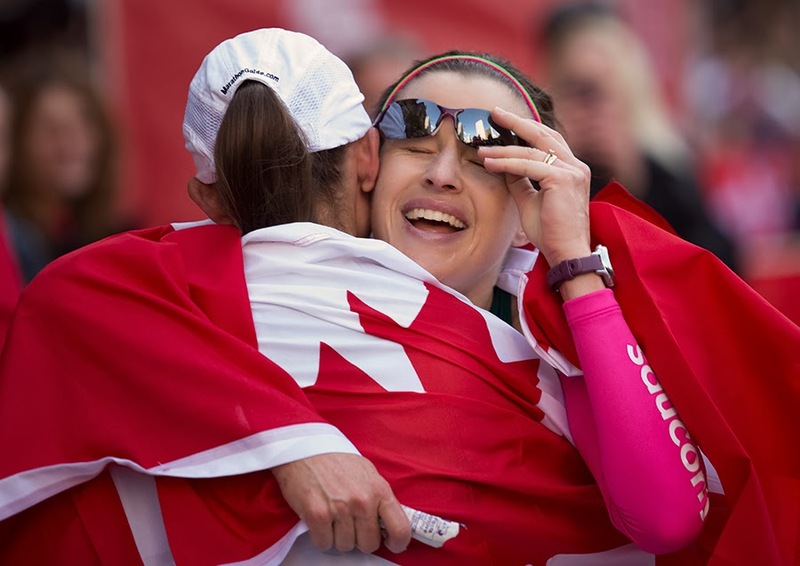 As for the next marathon, there’s the Commonwealth Games (July 2014) and my Olympic Qualifier (once the standards are announced by Athletics Canada – may be anywhere between a start of Fall 2014 to Spring 2015). But until then, it’s a lot of rest, relaxation and reflection. 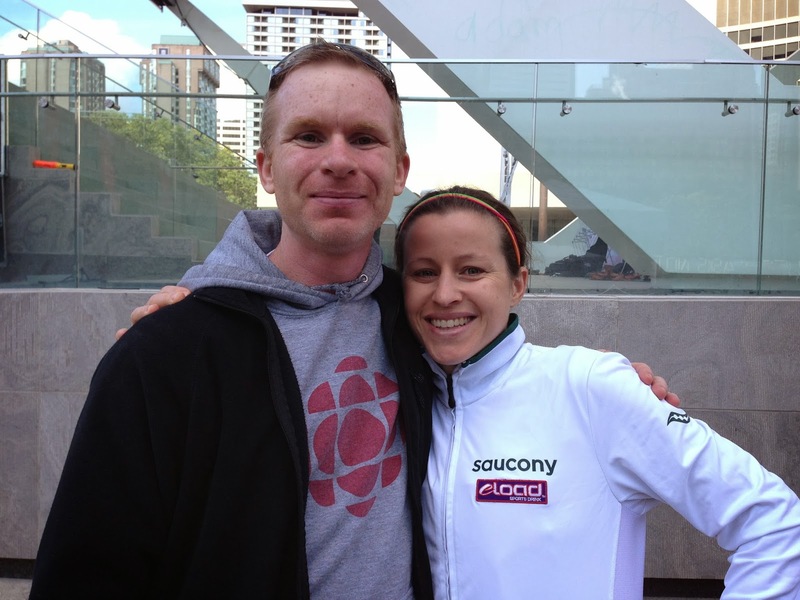 #2 and #3 Canadian Marathoners. Honoured and inspired by this amazing God-serving woman. And the record went down by BOTH of us! So glad God used you with this record for 28 years to do amazing things for Him, Silvia. Start2Finish. Looking good with pacers at half-way in 73:00. Picture: Rick Mannen. 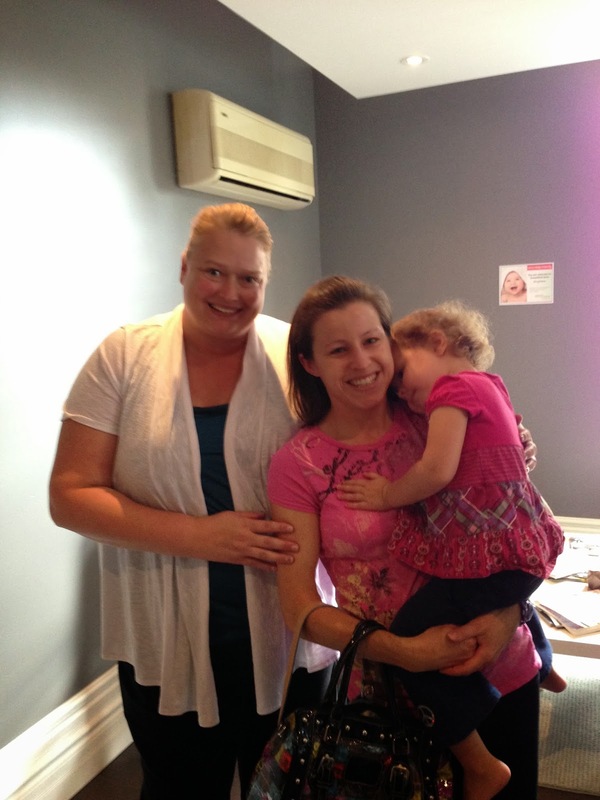 A huge thanks to Sherri who saw me 3x/wk over the last few weeks due to my back issue. This lady owns the business, is a mom of 3 boys, is involved in the community in various ways, and just returned from hip surgery. Her husband, also a physiotherapist (and hockey coach), figured out my pelvic issue last year and suggested I see her for her postnatal expertise.Thanks so much, Sherri and Essential Physiotherapy crew. And a big thanks to Cynthia and Naomi who looked after my massage needs. 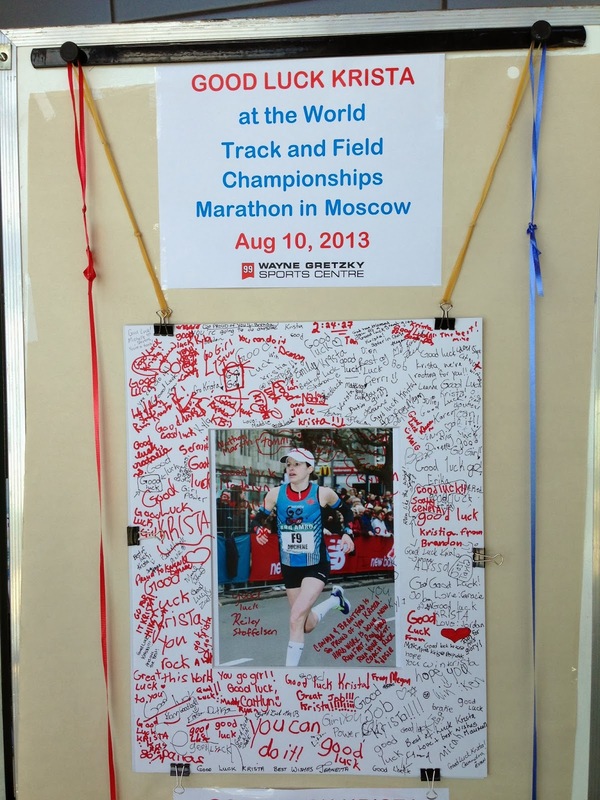 Congrats on the half marathon finish yesterday, Naomi. 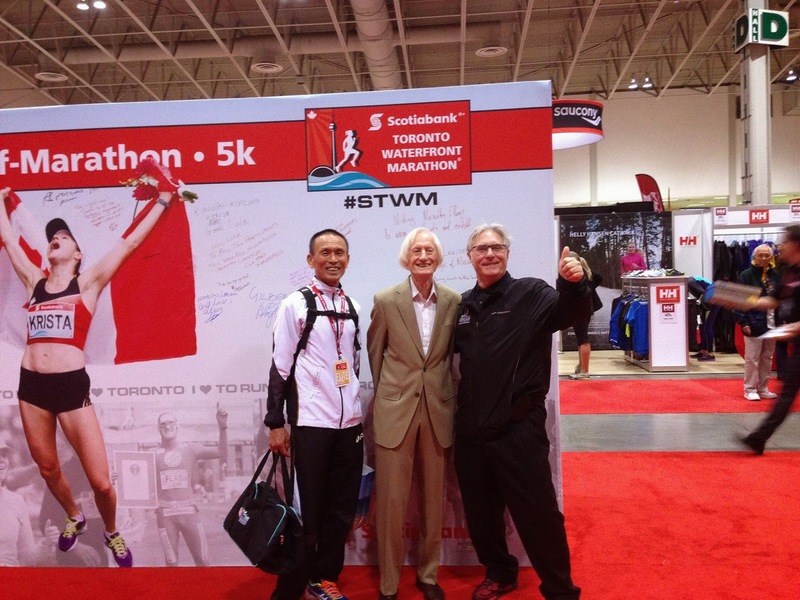 Three amazing men – age group world record holders, Yoshihisa Hosaka from Japan and Ed Whitlock from Canada, and Race Director, Alan Brookes. Oh, and a life-size me on the far left! 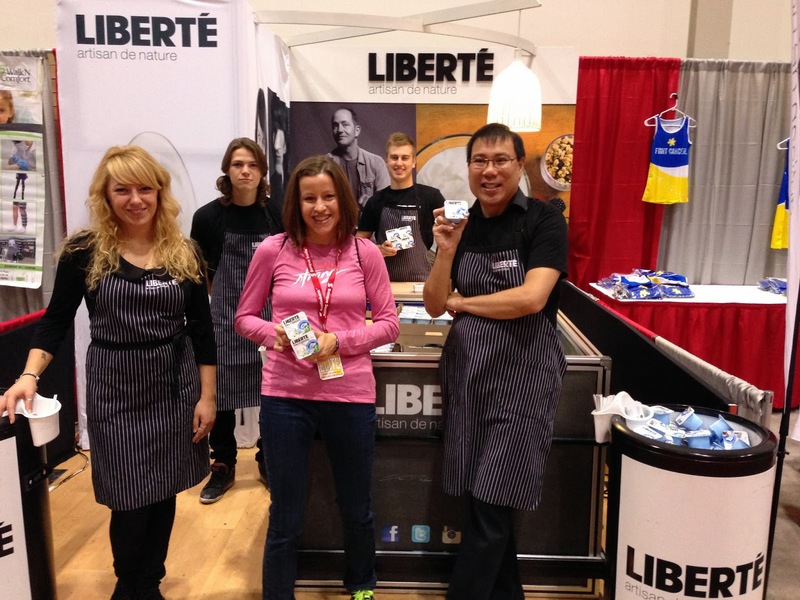 Thanks for your support, Liberte! Having a little fun at the expo. New Balance guys & Saucony girls. 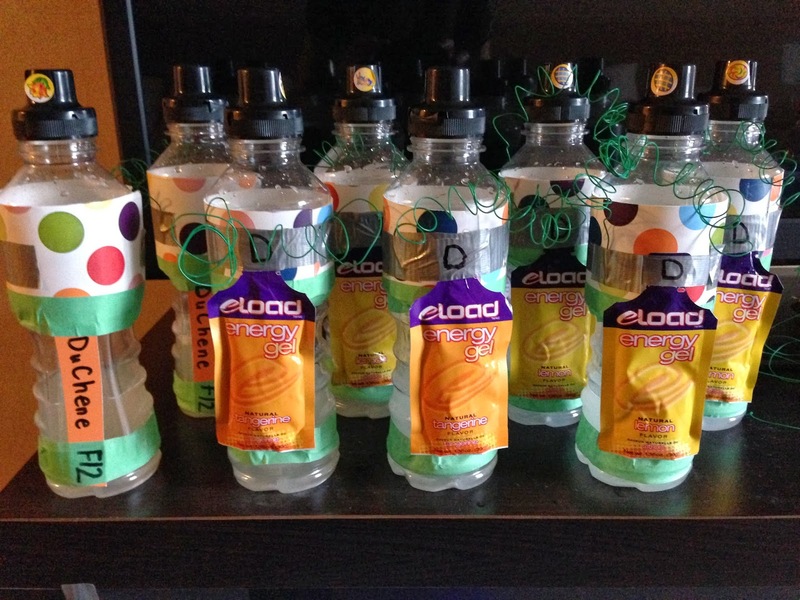 Ready to go with Eload sport drink and fly (mixed in bottles with water) and gels. Fuel plan was perfect. Thanks again, Trent! Loved rooming with this gal! Great company and conversation. And Marilyn makes amaaaazing coffee! Pretty exciting for my nephews, Ben and Eli. My own two boys couldn’t make it so it was very special to have these two to hug (my sister’s boys). 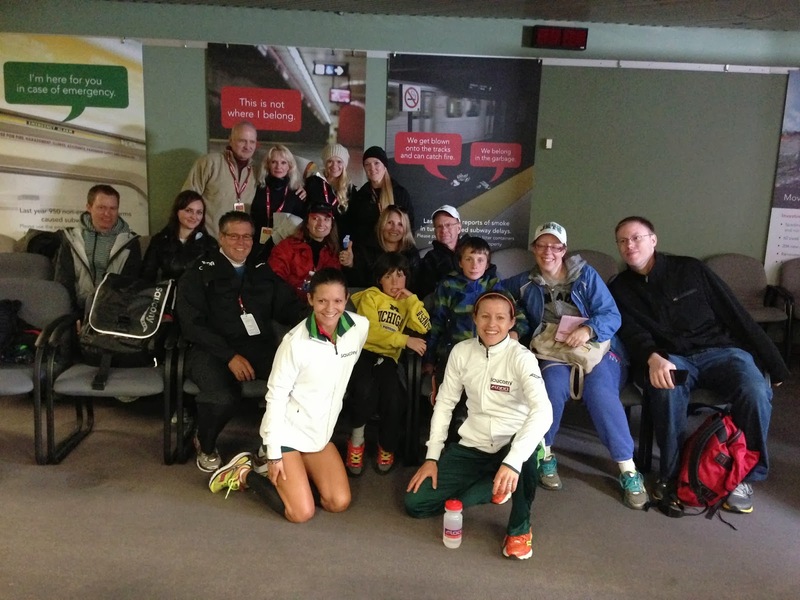 Family and friend support crew for Lanni and Krista, just after the press conference. Thank you: Kevin, Janna, Ben, Eli, Jennifer and Kenneth, and Rick, Josie, Bob and Stella. So special to have you there! Also great to have Clayton and James’ touching emails, runs with Rachel H. and Darren L., and support from Kate V., Mary D., BCC and CBA families, and the running crews of the Paris Runner’s Den, Brantford Road Rebels, Black Lungs and Longboats. Our good friend, Frank came to cheer me on. Love that guy! 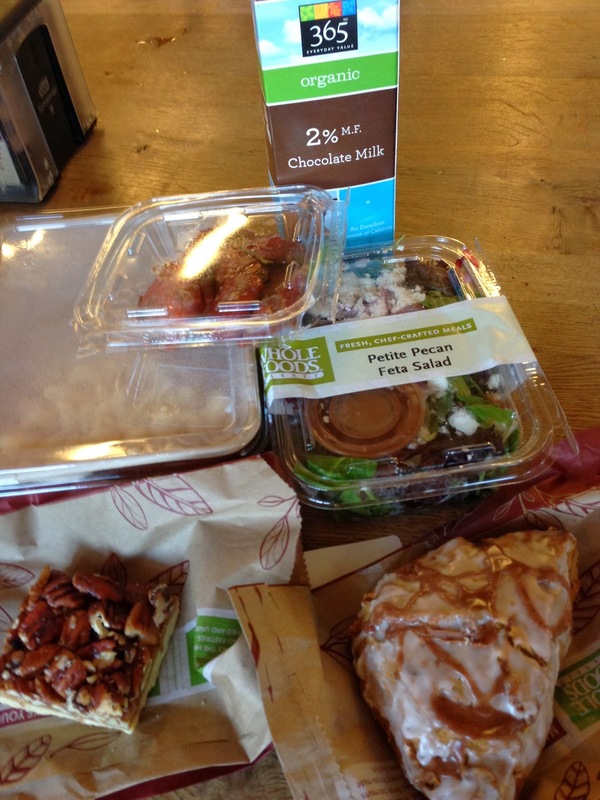 and because everyone asks, here’s what I got: maple sugar salmon nuggets, pecan feta salad, mac n’ cheese, chocolate milk, pumpkin spice scone, and a pecan square. Don’t worry, I didn’t eat it all at once! Very sad and ugly looking running toes. But at least I only had one not survive this marathon. Rejean will be working at a new running store in Toronto, “Black Toe Running“. My letter to my amazing, “Team DuChene”. 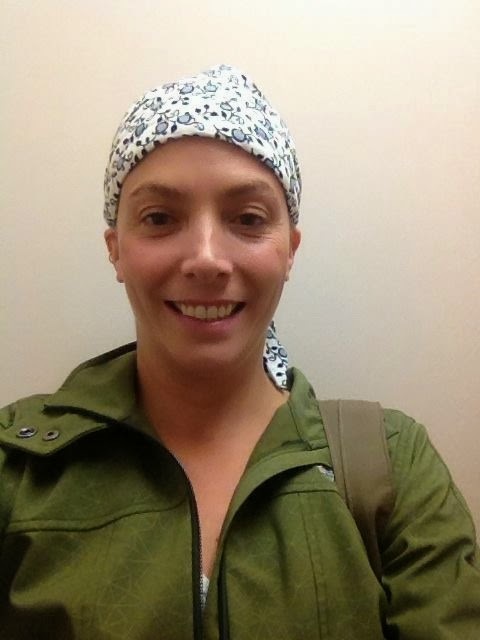 Wearing green (our favourite colour) before her 4/8 chemo treatment. Love you, Brittanie! I certainly thought of you during the race. My green gloves matched your shirt perfectly and made me think of you, knowing you wanted to be at the race but couldn’t because of your chemo on Friday. And thank you, Stacey and B for your amazing support from BC! while I was away racing. Blessed. super fast but she is also wife and mother and we love her!!! Back at home again. 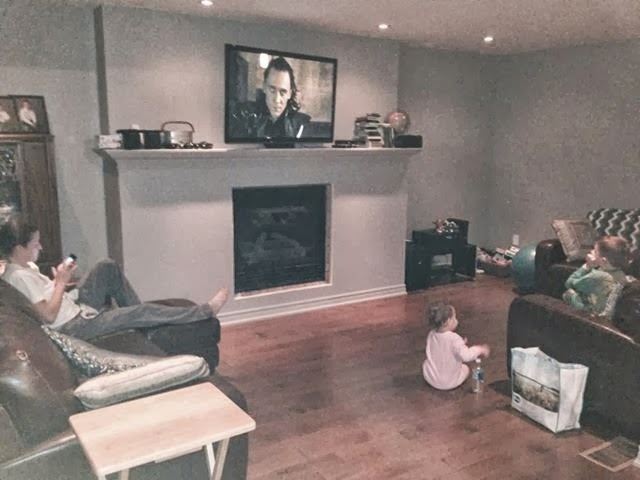 Showered and fed with Jonathan and the kids watching a movie. Thanks also to the City of Brantford and the Wayne Gretzky Sports Centre – Maureen, Jeanetta, Karen, Cindy, Dean, Mike, Warren, Nancy, Mike, etc. 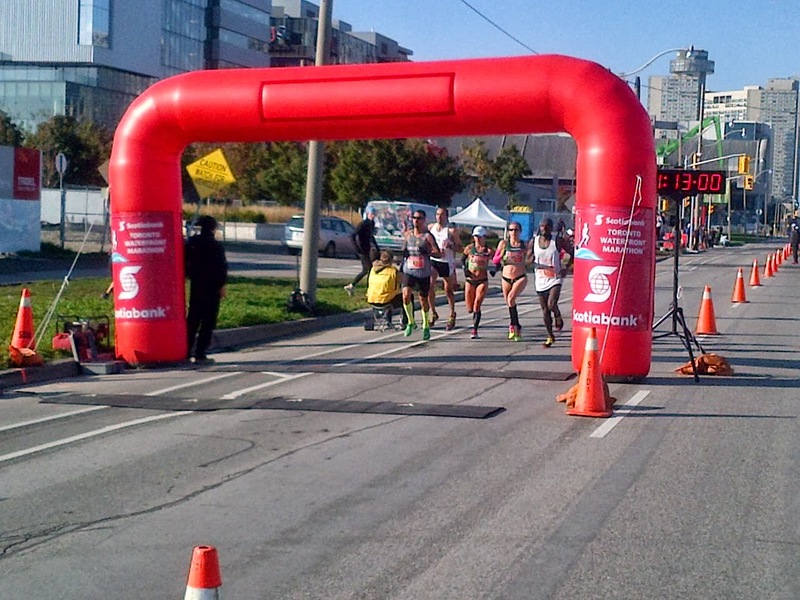 Scotiabank Toronto Waterfront Marathon – 2013, 10th marathon, 2:28. Casino Niagara International Marathon – 2002, 1st marathon, 3:28. Dream big. Set the bar high! I will continue to edit this post but have a 2 year old that needs lunch! Way to go Krista! I prayed for two things as I was running through the 3-5km section of the race. I love reading your posts as you weave your faith into the ups and downs of training. I am a pastor in Aylmer (near London) and my running and my faith are intertwined as well. Enjoy your recovery and then let's get back to training. Go get that Olympic Q and I'm working on a 3:09 to get my Boston Q. Excellent run! Great write up! Looking forward to seeing you sometime soon in the gym. 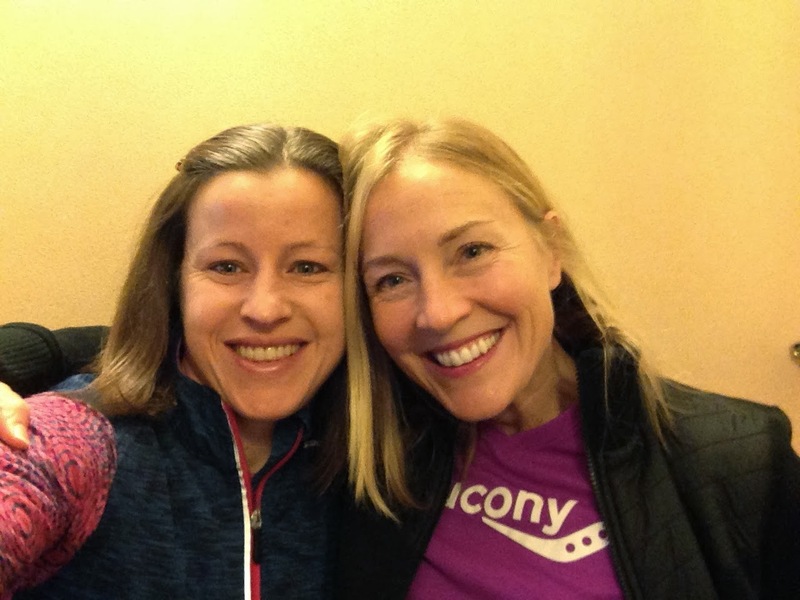 It was an excellent and historical race, no one would have predicted a new course record or the woman's record of 28 years being broken by two runners! It was simply amazing, congratulations! What an amazing experience to read here, Krista! You are the the picture of faith, determination, and talent. What a wonderful role model you are, not just for your own children, but mothers and women!